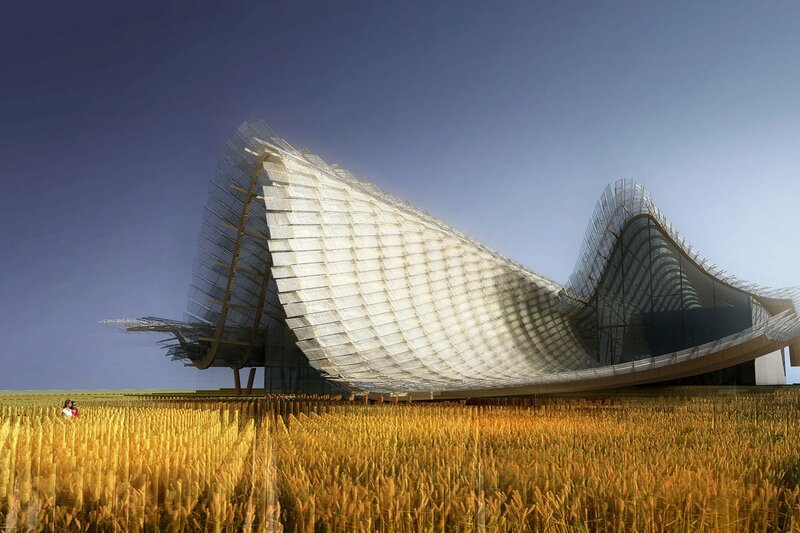 The China pavilion at Milan Expo 2015. 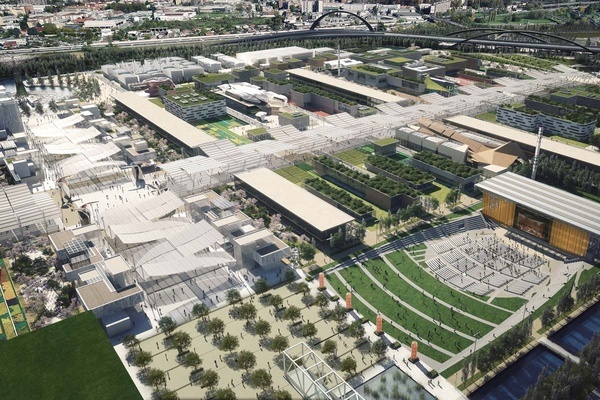 All renderings courtesy of Expo 2015. Our favorite Italian correspondent and Popupla contributing editor Erica Firpo gives us a sneak peek on the upcoming world fair in Milan. We're already looking forward to a scrumptious six months in Italy's fashion capital. MILAN – From May 1 through October 31, Milan is a hosting an international pot luck dinner at , that once-every-few-years universal world fair where countries come together for a thematic event. This year's theme, "Feeding the Planet, Energy for Life," will explore food culture and sustainability as seen through 170 country and corporate participants. Together they are bringing food conversation to the table in a multi-cultural village of pavilions, theaters, conference halls, and parks where food finesse is just an hors d'oeuvre and tastings table talk are the main courses. 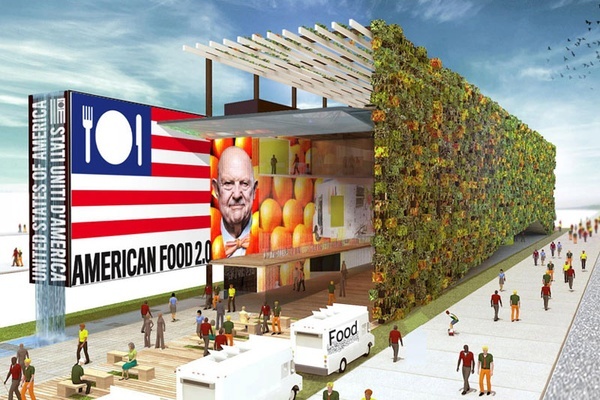 The USA pavilion looks like a giant food truck. Pavilions make up the core of Expo 2015: Unique stand-alone structures that share food ideas and concepts and are architectural celebrations in their own right. 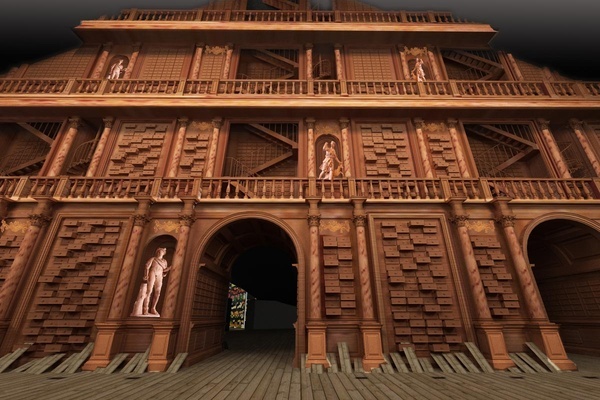 My home country will show off its rich culinary history and traditions in both the Italy pavilion and a village area dedicated to the country's 20 regions. I'm already fasting for Emilia Romagna. 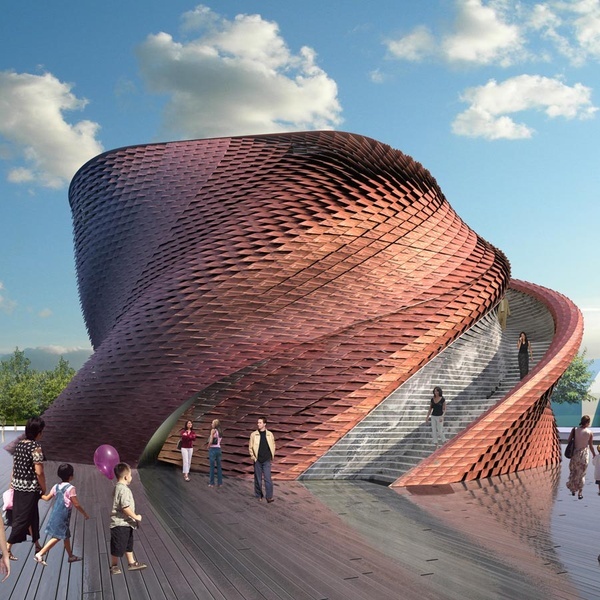 is represented in five different buildings (country and corporate) including the stunning Vanke pavilion, a flowing, sinous, amorphic shape with a bamboo roof garden. The barn-like pavilion and 's 2000-square-meter cascade will wow you with architecture and put food on your plate. shares its culinary values and agricultural aspirations via sensorial immersion. Focusing on food discussions, the Expo village brings together countries and food concerns in different . Countries will ask you to think differently about what you know about food through dedicated topics like grains, coffee, chocolate, and climate zones. The Slow Food pavilion celebrates the Italian-born movement and radicalizes it for the 21st century. and (created with MIT's SENSEable City Lab) are poised to take you back to the future. And if you're bored, there's always Cirque du Soleil's Allavita! at the . It's food. It's a celebration of food. And it's chefs celebrating. Some of the world's biggest kitchen names will be heading to Milan for demonstrations, conversations, and even a little giving back. Italy's top chef Massimo Bottura and 40 of his famous friends will take host a charity kitchen and cook with Expo leftovers at the . The Expo village and open-air theater. It's a six-month food party. You'll need a game plan and a great pair of walking shoes. Visiting the Expo is like heading to a food-focused theme park. You are going to want to take your time and to be there for more than one day. All participants and events are published on the . So do your research and download the so you have it all in your pocket. Finally, remember that you are in Milan, so get dressed up and get out into the city. 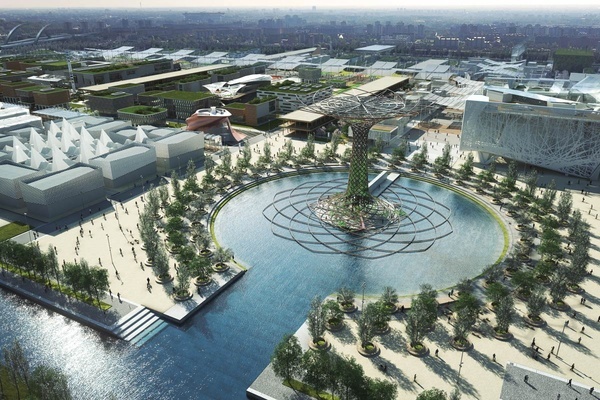 From Milan: The Expo is in Rho, 20 minutes northwest of Milan's city center. Your best bet is . Red Line 1 (Linea Rossa 1) connects from Cadorna, Duomo, to Rho Fiera Station. Or you can take regional trains from Milan's Stazione Centrale or Stazione Garibaldi to Rho Fiera Milano station. From outside of Milan: has lined up 67 national and international train services to link Italian and European cities with Rho Fiera Expo Milano 2015 station.